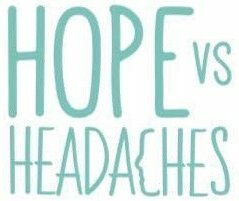 3 Comments on Chronic Migraines To 1 Year Migraine Free – How Did I Do It? I can only describe this last year as one hell of a rollercoaster ride. Actually, that is an understatement. So many times I wanted to get off but something inside of me kept pushing me on and now I am here. So today I wanted to share with you the 15 things I did that took me from chronic migraines to one year completely free in hope that some of the changes I have made can help others too. Inflammatory foods create disease in the body so as a result, I eliminated harmful cooking oils, artificial sweeteners, sugars, refined flour products, gluten, dairy products, alcohol, meat, poultry, trans fats and any form of processed food. Click here to read more about how I have done this. Once all the nasties were out of my diet, I then began to repair and nourish my body with healing foods. I did this by eating a clean, whole foods plant-based diet which meant I was only consuming fruit, vegetables, nuts, seeds and some gluten-free grains. Click here for previous blog posts to get started yourself. When you have been sick for a long time your body goes into ‘fight or flight mode’ as it is continually living in fear in the sympathetic nervous system. This continual stress takes its toll, so to heal you need to activate the parasympathetic nervous system which I did by slowing down, learning diaphragmatic breathing, how to meditate and basic calming yoga stretches. Self-care can be as simple as a ten minute morning meditation, making time for some daily stretches or even spending some time at the weekend preparing food for your week ahead. YOU need to make time for YOU as no one else is going to do it for you. Click here for further reading on self-care. Every day I would do Dr Joe Dispenza’s hour-long meditations whereby I would visualize my life completely healthy. Science proves that your brain creates the same pharmacy of chemicals when you visualize something as if you were there, thus healing happens. This takes daily dedication but is totally worth it. Click here to learn more. You will be amazed how emotional stress affects your migraines subconsciously without you realising. I had to work on releasing emotions such as guilt, anger and feelings of unworthiness to be able to truly be free from emotional triggers. Click here to learn more about emotional stimuli. I know you might not love where you are and who you are right now due to illness, but until that changes it is very hard to become free. When I learnt to accept that I am doing the best I can and actually look in the mirror and say “I love and approve of myself”, I stopped giving myself such a hard time, thus healing happened. We are so blessed nowadays to have access to a wealth of information all over the world. To become migraine free, every spare second of the day I would try to learn something new to further my healing through books, podcasts, online content, social media, audio books and more. Why not make the most of it? The law of attraction will bring you what you think about most and focus on. So when I discovered this I realised that I had to put all my energy into health rather than into disease. This meant leaving the migraine support groups and instead focusing on learning and surrounding myself with what I wanted. To be healthy. Click here to learn more on this. I know this might sound a bit airy fairy but honestly, you know what’s good for you and your body and what isn’t. All you have to do is simply trust that feeling in your gut as it’s always right. It’s as simple as asking yourself “what do I need right now?” and just wait for the answer. It may be some time out, a quick meditation or to get outside in nature. Click here to learn more. Disease is essentially just the body being out of balance, so our job is to listen and find out what it is we need to rebalance ourselves and therefore regain our health. Is it more nutrients? Less stress? Or even just some more you time? Take some time to find what creates homeostasis for you. It’s hard to admit but I used to love the drama. No matter what it was or what happened in my life, I could make it into something. But when I chose to step away from this and also changed my reaction to certain situations, my emotional stimuli reduced. This had all been self-inflicted. Life is 10% what happens to you and 90% how you react to it. Personally, after experimenting with my body, I found that 20 minutes of gentle daily stretching reduced muscle tension thus any muscular headaches. I also found that this practice calmed my mind every morning and contributed to my daily self-care routine. Click here to read more on this. In order to become migraine free, my health had to be the priority. If I was ever at a point in my journey when I was questing whether to do something or not I would simply ask myself “Does this serve my healing right now?” and if the answer was no I wouldn’t go there. My healing had to come first. Out all of these 15 actions, I have to say that this one is absolutely ESSENTIAL for any of the above to work. If you believe that you will always be a migraine sufferer then that will be your fate, however if you truly believe that freedom is possible then it is achievable. After all, what the mind believes the body achieves. Click here to learn more. I apologise for the long blog post but I really wanted to share that it wasn’t one action that allowed me to become migraine free, it was a combination of many. I also have say a huge THANK YOU to Anthony Cocco because without his amazing support and guidance I wouldn’t be where I am today. I would love to know what area’s interest you and that you would like to know more about. Please leave me a comment below. Previous Entry My HUGE Anxiety Breakthroughs And How They​ Can Help You Too! Next Entry Are Food Imitating​ Products Taking Over Your Diet Without You Realizing?